2 Beds 2 Baths 1 Partial Bath 1,113 Sq. ft.
Beach living at its best!! Approx. 120 steps to the ocean! 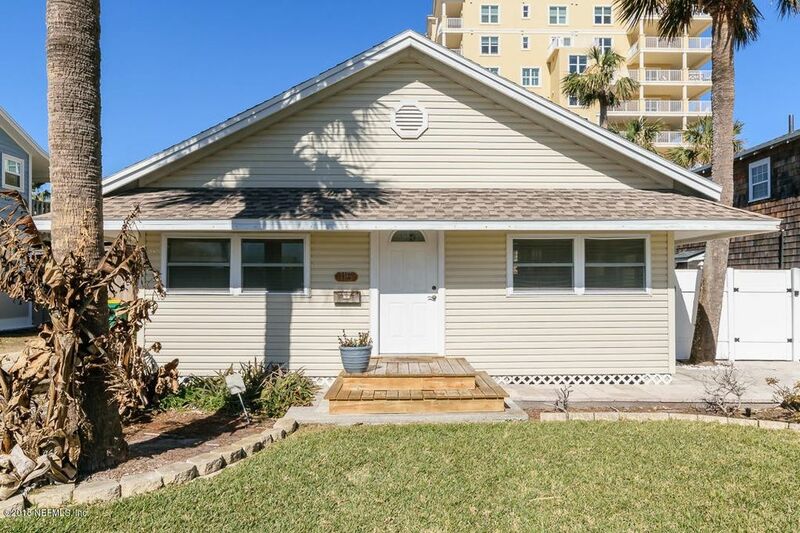 Enjoy summer breezes and easy beach access with this renovated home. NO HOA FEES! Updated bathrooms and open floor plan make this a perfect spot for the young couple to enjoy all of the amenities of Jax Beach. Outdoor space is perfectly situated around a pavered patio - perfect for the grill and friends. Indoor laundry with additional closet space. The outside garage has been converted into additional living space and can be used as a yoga studio, office, man cave, etc and comes equipped with its own A/C unit. There is a separate storage shed for belongings and an outdoor shower after a long day at the beach. The house has a separate well for irrigation and a termite bond. House has commercial zoning for additional value! !